Aerobatics software lead Nic Coles and co-founder Benji Metzer. Two young South Africans have been working on a smart platform for the last three years, hoping it will eventually become an indispensable resource to farmers. The company's potential has since been noticed by Google, which selected the group as the only South African start-up to take part in an emerging markets accelerator this year. Aerobotics was started by University of Cape Town engineering graduates, James Patterson and Benji Meltzer, who after taking some time to pursue post-graduate degrees and work a bit in the field, wanted to start a business that would merge their newly acquired separate skill sets. Patterson had studied aeronautical engineering at Massachusetts Institute of Technologyin the US and Meltzer had done data science at Imperial College in London. Patterson's family has a citrus farm in the Western Cape and initially the company wanted to use drones to help farmers solve problems like disease, irrigation issues and pests. 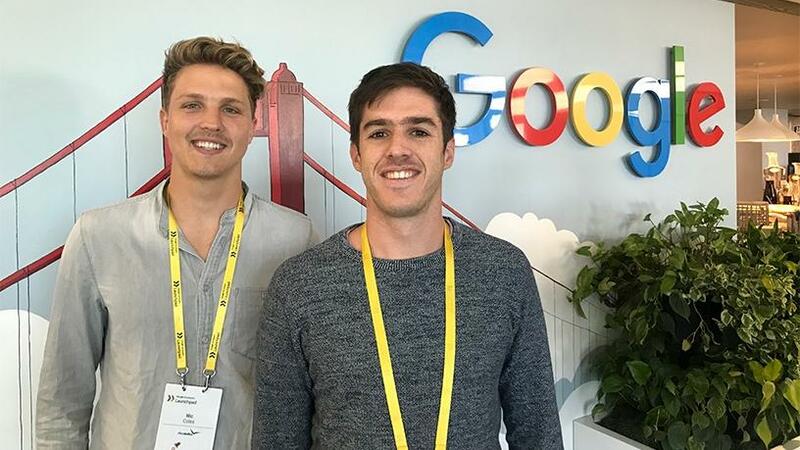 ITWeb met up with Meltzer in San Francisco last week during the Google Launchpad Accelerator boot camp to find out how the start-up grew, and how Google will help the team to mould their business to compete on the global stage. A total of 24 start-ups from developing nations were selected to take part in the first of the tech giant's accelerators this year. It focuses on start-ups that already have a product, with a good market fit, and are ready to scale. During the intensive two weeks at Google's offices, start-ups are exposed to expert professionals and mentors in the technology and business space, as well as take part in workshops on machine learning and artificial intelligence (AI). After the boot camp, the start-ups will take part remotely in a six-month mentorship programme. Meltzer says the time spent there has already been invaluable. "We are at quite a critical stage of the business; we have a product, we have proven that it fits and that our customers need it, now we need to grow. "We have to build a platform that can scale and need to incorporate more machine learning into the system. Machine learning allows us to predict issues in farms before they happen. "We have data scientists at home [in SA] but given it is such a new field, some of these issues we are working with, machine learning has never been used to solve, and relying on Google's network has been useful." Meltzer says Aerobotics is using machine learning actively at the moment but wants to build a model that continually improves. "In the space we are in, [machine learning] is crucial, I don't think you can offer anything valuable enough without it." He says using the technology allows Aerobotics to track individual trees, which wasn't possible at scale before. "Initially we tried building everything, including the drones," says Meltzer. "But we soon found out that while building and designing one was really fun, as soon as you build more it is not that enjoyable or practical." However, he notes that when the company started, drones were not as mainstream as they are now, and the models needed for their needs were very expensive. So drones were built to make it viable for customers. The company currently outsources all drone work to outside contractors it recommends to customers. That way Aerobotics does not have to build hardware, or deal with the new and ever-changing drone licensing regulations. All drones used by contractors are fitted with a multi-spectrum sensor to capture the type of data needed. Farmers also have the option to buy and fly their own drones. 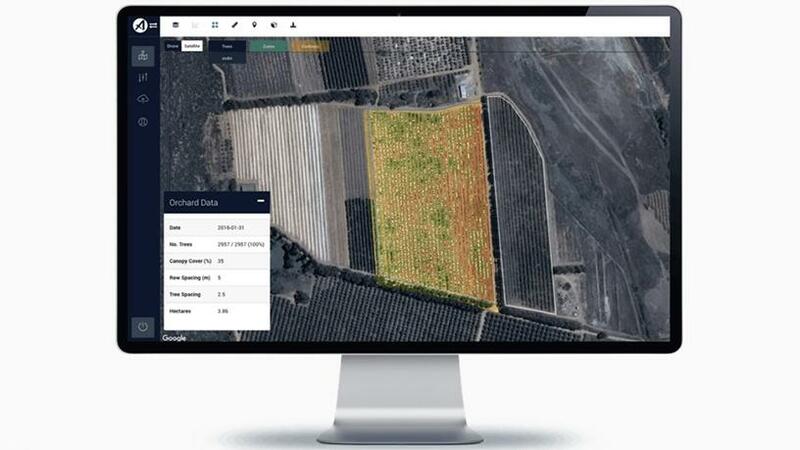 Aerobotics now focuses on its data analytics AeroView platform, which combines data from satellites, drones and a custom-built GPS-enabled app, called AeroView Scout. The company wants to make sure the data and insights farmers get from the platform are of a high standard. "Pulling out of the hardware space, we opened ourselves up to be agnostic and now process any type of data, allowing us to build a quality ecosystem," says Meltzer. Instead of trying to provide a platform that catered for every type of farmer, the company decided to get one type down pat. At first, it had systems in place for farmers with livestock, fields and orchards, but found resources were spread thin as each type of farming is completely different and needs its own technology and algorithms developed for it. So, Aerobotics now focuses on citrus and nut farmers. In SA, there are over 150 farms currently using the system, and the company has clients in Australia, Bolivia and Spain. Meltzer says their business "follows the crop", so they are pitching to companies where-ever in the world nuts and citrus are grown. Patterson, who was not present at the accelerator, was in California last week meeting potential clients. Outside of SA, Aerobotics has a presence in Kenya (which is the second largest macadamia nut exporter in the world) and Malawi. Meltzer says they are also looking at Nigeria and Ghana. Last year, the start-up secured a joint R8 million seed funding round from technology venture capital firm 4Di and the Savannah Fund in Kenya. Meltzer says being recognised by Google helps the South African start-up community to see that these types of opportunities are possible. He says his advice to them would be: "It is really easy to get lost in the machine learning and AI noise and to incorporate it into your company just to get funding. "But what is the objective, what are you trying to find out, and whatever you are trying to predict, is that prediction in line with your goals?" He says start-ups in this space need to make sure they are collecting the right data. "The machine learning side of things is not the difficult part; the difficulty comes in when collecting clean, usable data." Once this is done, he says, there are many good accessible tools out there that companies can make use of. Meltzer says Aerobotics aims to change the way a farmer works, and wants AeroView to become a must-have solution for optimising citrus and nut farms. He says farming is becoming more business-like. "In SA, the number of farms is getting smaller but the size of farms is getting bigger. Farmers want ways to farm from their office. The farmer at the end of the day makes all the decisions; we suggest there are things worth looking at in the right places."